The sinew, the skin, the bone all add up to succulence. Hence, my favourite chicken parts are the legs. 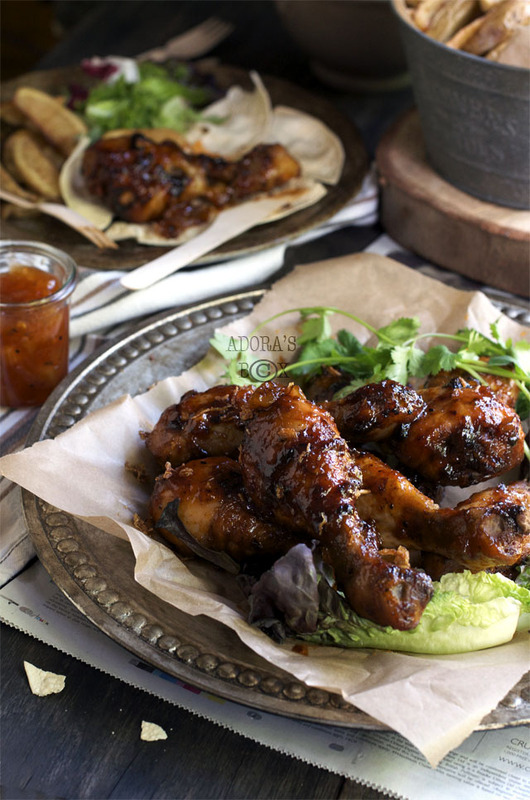 The thighs and drumsticks are easy to play with as they already have a lot of flavour in them. When baked or fried, the meat melts and the sinew turns to jelly. I love the look of the drumstick when the leg muscle snaps and the end of it sticks out. 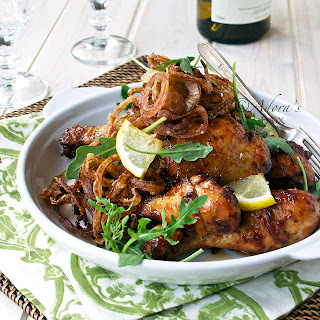 You know that it has done its time and the meat would be succulent and tasty. 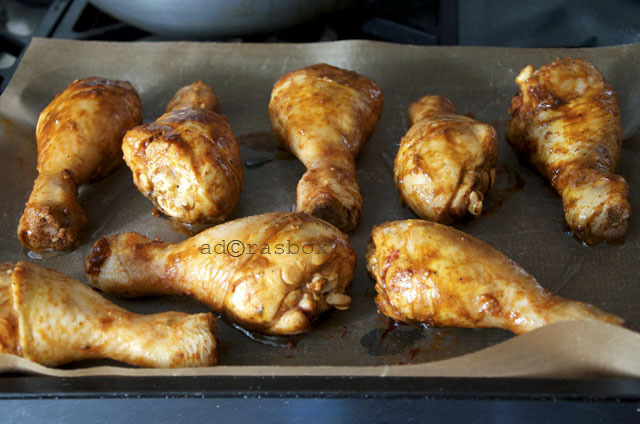 Roasting or baking the legs is probably the easiest way to cook the chicken legs. They all cook in one go, no need to cook in batches. Less fuss, less mess yet tastier. The chicken flavour intensifies as it basks in the heat. Almost always, I add a sticky glaze in the end. 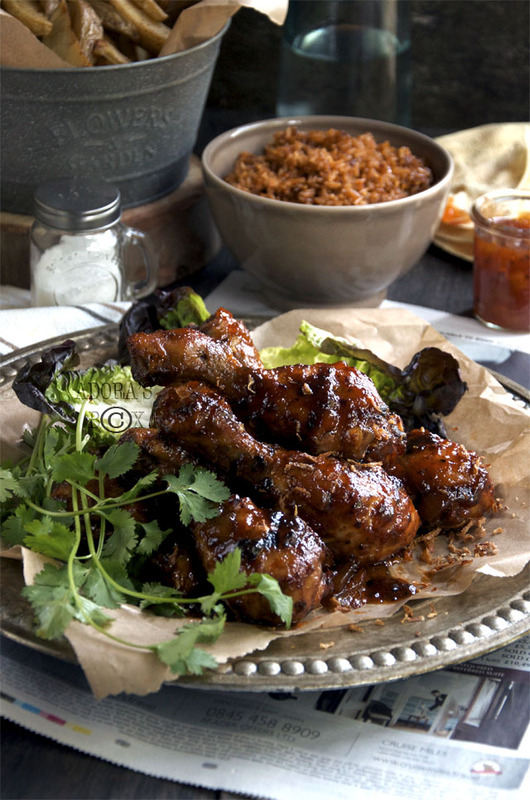 The glaze and the chicken interacts to make a caramelised sticky coating that is indescribably delicious. 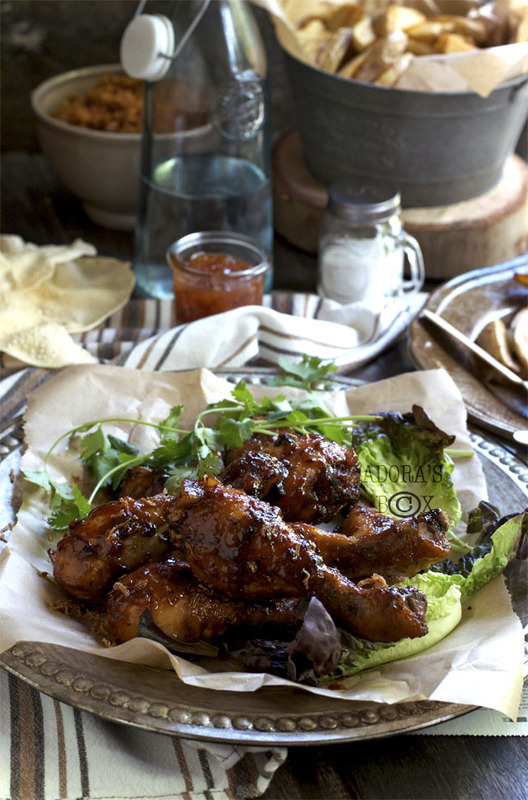 I used mango chutney for this recipe but you can use any chutney that you like. The flavour that developed is so tasty, sweet and deep. This is a keeper for me. 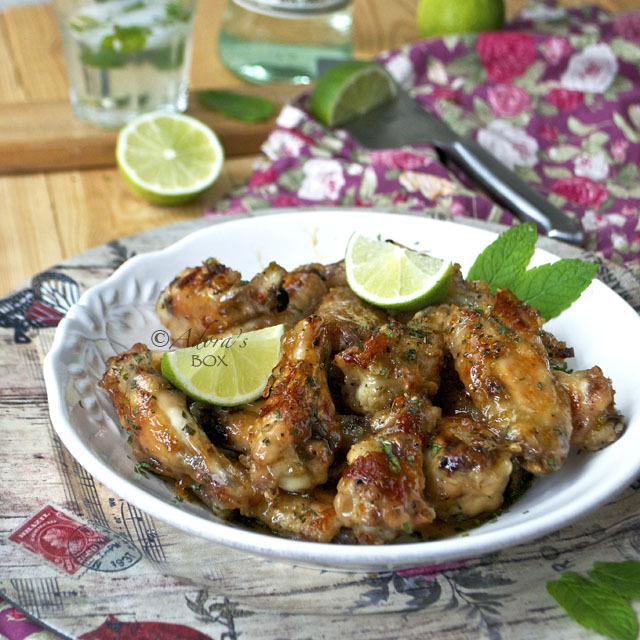 I highly recommend that you try this recipe. Don't miss out! Put the chicken drumsticks in saucepan and marinate in a mixture of the next 6 ingredients. Leave aside for half an hour. 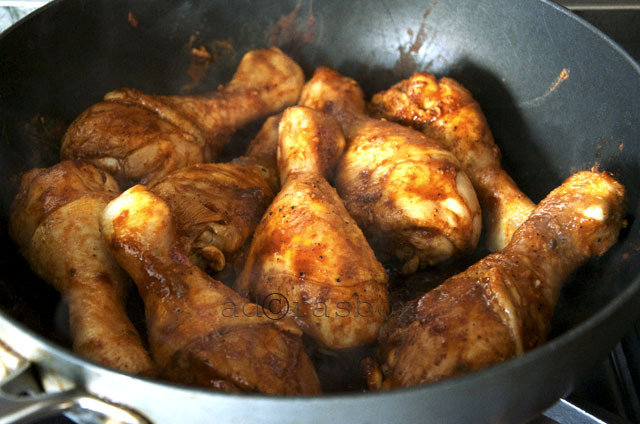 Pre-heat the oven to 180° C/350° F.
Heat up the chicken mixture in the saucepan on low heat for 10 minutes. This step will make the chicken absorb the seasonings as it seals up. 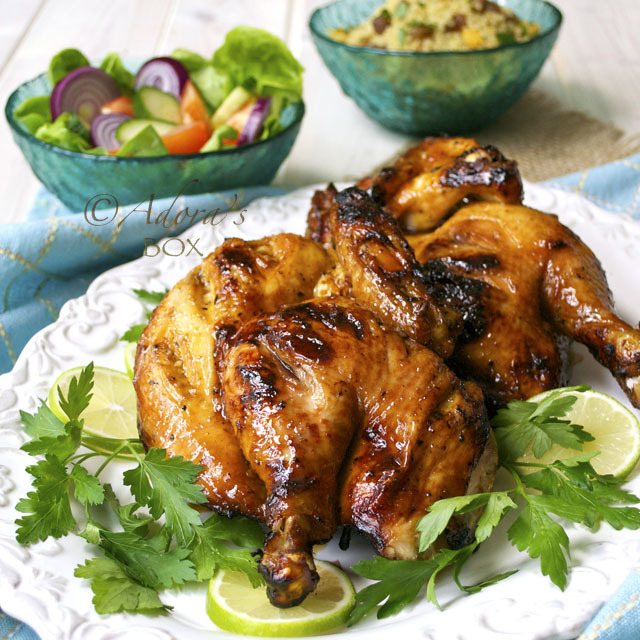 Make sure that the heat is very gentle so that the chicken stays tender when cooked. Use a non-stick baking tray or line a baking tray with non stick liner. Arrange the chicken in a single layer, making sure that there are spaces between each piece for the hot air to circulate through. Drizzle with the cooking oil. Bake for 30 minutes, turning the pieces over halfway through the cooking time. Mix the chutney and melted butter. Spoon all of this mixture on the chicken pieces. Bake for a further 15 minutes, turning the pieces halfway through the cooking time. 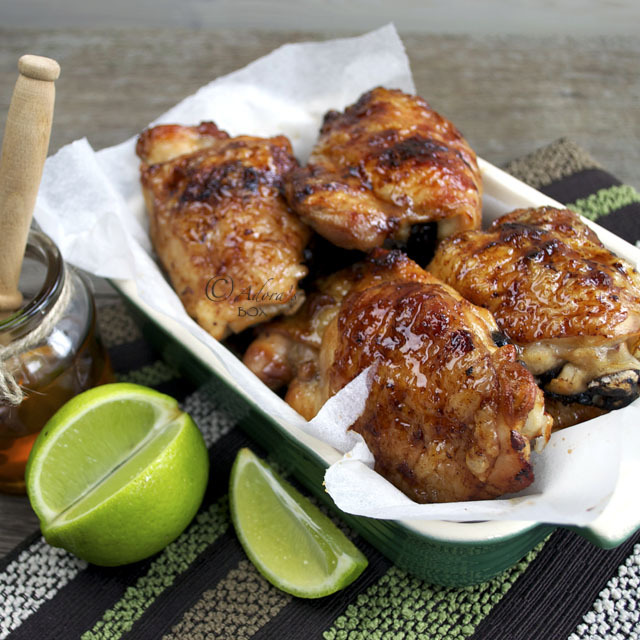 Spoon the chutney drippings onto the chicken as it bakes. 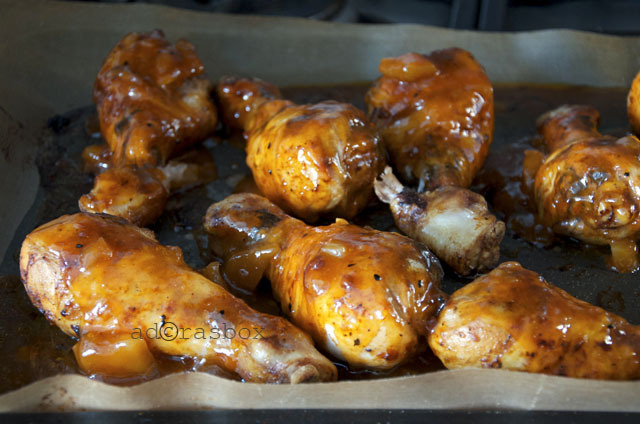 It's done when the chicken is cooked through and the chutney glaze has caramelised. Transfer to a serving dish and sprinkle with crispy shallots or onions. hmm, finger licking good sticky mango chutney chicken drumpstick!!! agree about using dark meat instead of white meat. 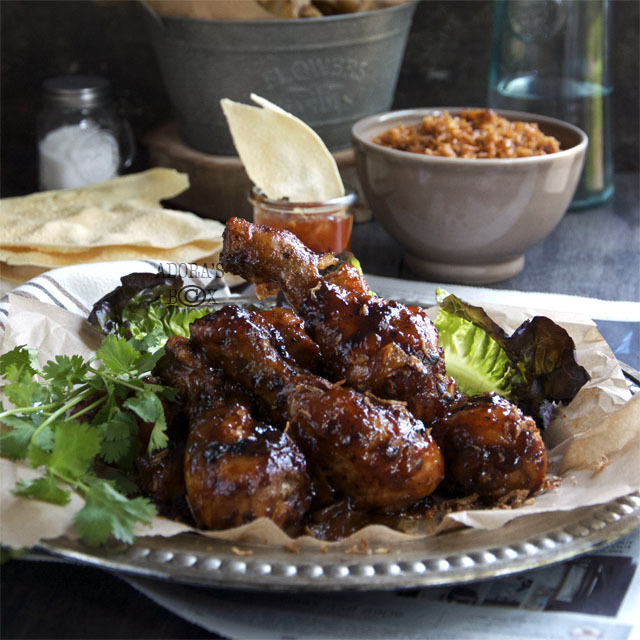 and love that you use mango chutney- it sounds like a great foundation for flavor! With our first bite, it instantly became our chicken recipe. Even better the second day!